Promoted RB Leipzig earned their first ever Bundesliga win at the expense of Borussia Dortmund on Matchday 2. Still something of an unknown quantity in Bundesliga circles, Leipzig made life difficult for Dortmund from the get-go. Timo Werner was a constant nuisance on the counter, while two organised banks of four largely succeeded in starving BVB of the space needed to work their usual magic in the final third. When the visitors did break through on the half-hour mark, Andre Schürrle could only shoot wide. Encouraged by their first-half showing, Leipzig began to take the game to last season's runners-up, with a wave of chances falling at both ends of the pitch in the final 20 minutes. 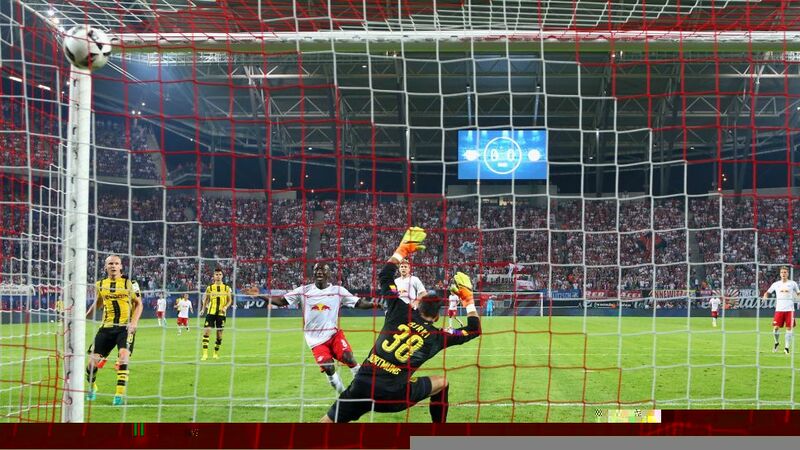 After Marcel Halstenberg saw an effort cleared off the goal-line by BVB substitute Raphael Guerreiro and Schürrle clipped the crossbar, Bundesliga debutants Oliver Burke and Naby Keita combined to send the Leipzig faithful into raptures. Leipzig have set the bar with this performance. Workmanlike, resolute, daring: how far can they go in their maiden Bundesliga campaign? Leipzig are unbeaten in the Bundesliga after two matches.Aged 19, Burke is the youngest player to feature for Leipzig in the Bundesliga.Mario Götze made his first Bundesliga start since returning to Dortmund from FC Bayern München in the summer.